Los Angeles, California, Oct. 26 – GLAAD’s 2018-2019 Where We Are on TV Report includes the only analysis of primetime scripted series regulars on broadcast networks of characters with disabilities. 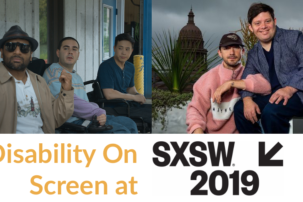 Largely known for tracking the number of LGBTQ+ characters on broadcast and cable networks, as well as streaming services, the Where We Are on TV Report also tracks racial, gender and disability inclusion on television. The amount of regular primetime broadcast characters counted who have a disability has slightly increased to 2.1 percent, but that number still vastly underrepresents the actualities of Americans with disabilities. There are seven characters across all three platforms tracked (broadcast, cable, streaming) who are HIV-positive, a substantial increase from last year’s two. 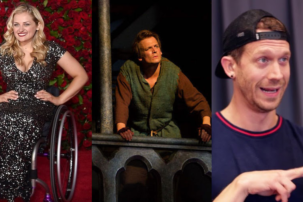 While the 2018-19 season will see 18 characters with disabilities, versus 16 in 2017-18, that number still vastly underrepresents the actual number of people with disabilities, representing less than one-sixth. Furthermore, while more than one-third of LGBTQ+ adults have a disability, GLAAD’s report found only four LGBTQ+ characters with disabilities. It is clear that representation matters. Just as GLAAD will continue to work alongside the industry to tell LGBTQ+ stories on screen and further the conversation through their year-round work, RespectAbility, a nonprofit fighting stigmas and advancing opportunities for people with disabilities, will continue to do so for full representation of people with disabilities – including those with disabilities who are LGBTQ+. This is the ninth year GLAAD has tracked people with disabilities (PWD) series regular characters on scripted broadcast primetime television. Once again, the number of these characters is significantly lower than those with disabilities in this country. According to the 2017 American Community Survey conducted by the U.S. Census, 13.3 percent of non-institutionalized Americans live with a disability. For purposes of this report, GLAAD followed the guidelines of the American Disability Act (ADA), which includes those with non-apparent disabilities, including those with cancer, as well as HIV and AIDS. The number found by the U.S. Census would be greatly increased if it included all disabilities under the ADA. GLAAD found that of all series regulars on primetime broadcast programming, 2.1 percent (18 characters) are people with disabilities, compared to last year’s 1.8 percent (16 characters.) Though this is the highest percentage in the nine years GLAAD has been tracking this data, the number still falls dismally short of the population of people with disabilities. This year, NBC has the most characters – six – with disabilities expected as part of the upcoming season. Four out of these six characters are diagnosed with cancer. Though the character passed away on the show, William Hill on NBC’s This Is Us continues to appear in flashbacks in different stages of his life, and is still billed as a series regular. NBC also includes Superstore’s Garrett who uses a wheelchair, and Anne on Trial & Error who has several disabilities. The CW counts the second most series regular characters with disabilities, including two lead characters: Rebecca Bunch on Crazy Ex-Girlfriend who lives with borderline personality disorder, and Murphy on the new series In the Dark is blind. Another new character is Sgt. Alex Manes on the reboot Roswell, New Mexico, a queer veteran with mobility issues, and physical and mental trauma from being at war. Raven on The 100 also has mobility issues. ABC and CBS both have three characters with disabilities. The former has autistic lead character Dr. Shaun Murphy on The Good Doctor, HIV-positive Oliver Hampton on How to Get Away with Murder, and Speechless’ JJ DiMeo, who has cerebral palsy. On CBS, Adam from Mom and Patton Plame on NCIS: New Orleans are both wheelchair users, and a new character from an upcoming midseason drama will have mobility issues as well. FOX has only two characters with disabilities, both on Empire. Andre Lyon has bipolar disorder, while Lucious Lyon has Myasthenia Gravis and a missing limb. On cable, there are four LGBTQ characters with disabilities. Though this is an improvement from the dismal one character seen last year, there is still a long way to go. Shameless’ Ian Gallagher remains from last year, and continues to live with bipolar disorder. Two of the new characters with disabilities this year, Blanca and Pray Tell from FX’s Pose, are both HIV-positive. Also on FX is Legion’s Clark, who has severe burns. As for streaming, there are six LGBTQ characters with disabilities, an increase of one from last year’s five. Three of these characters appear on Netflix’s upcoming Tales of the City, two are HIV-positive and one is deaf. Davina and Shea, who both recur on Transparent, are HIV-positive, while Jeri Hogarth on Marvel’s Jessica Jones was diagnosed with ALS last season. There are negative stereotypes and stigmas associated with those who live with HIV and AIDS in this country and beyond. GLAAD partnered with The Elizabeth Taylor AIDS Foundation and AIDS United in 2015 to create a comprehensive media guide to work toward ending the stigma, and uses that guide to help educate the news media and content creators in entertainment on how to tell stories about HIV and AIDS in an era of prevention and treatment. Pop culture and television is a crucial tool to help stories working towards this goal of ending stigma, through telling accurate and inclusive stories about those living with HIV and AIDS. In this report, there are seven characters GLAAD counted who are HIV-positive, more than double that of last year. This increase is mostly due to FX’s Pose and Netflix’s Tales of the City. Pose shows the reality of the HIV and AIDS crisis in the mid-80s, and features two leading characters that are HIV-positive, Blanca and Pray Tell, while Tales of the City shows HIV-positive characters in modern day San Francisco. By showcasing these strong and nuanced characters in their entirety, the show encourages its audience to root for HIV-positive heroes whose stories are not solely tragic or painted as object lessons for viewers. Returning from previous reports are Oliver Hampton from How to Get Away with Murder, and Davina and Shea from Transparent. We hope that in the future, series on all platforms will take note of Pose and Tales of the City and put characters living with HIV and AIDS in leading roles, with fully fleshed out stories. The GLAAD report is based on self-reporting by the networks and content providers. GLAAD looked at 857 characters expected to appear on scripted prime-time shows broadcast on ABC, CBS, The CW, FOX and NBC. Counts are based on original scripted series premiering or which are expected to premiere a new season in primetime between June 1, 2018 and May 31, 2019 for which casting has been announced and confirmed by networks. However, there may be an instance where a character, such as NBC’s This is Us’ Jack Pearson, who has an alcohol use disorder, Randall Pearson, who has anxiety, Kevin Pearson, who becomes addicted to opioid pills and Toby, who has depression; as well as recurring characters such as 9-1-1’s Christopher Diaz who has cerebral palsy, that may not be reported and included. Even so, characters with disabilities still are woefully underrepresented in comparison to the number of people with disabilities in the U.S.
With Hollywood striving to boost diversity and inclusion, opening the inclusion umbrella for America’s largest minority – the one-in-five Americans with a disability – is the right thing to do as well as economically smart given that the disability market is valued at more than $1 trillion. What people see and hear impacts what they think and feel about themselves and others, which can have life and death consequences. People with disabilities lack adequate access to healthcare, education and employment opportunities. Depictions of disability should be focused on the abilities and contributions of people with disabilities, not just the disability. Additionally, even simple inclusion in crowd scenes is important. This is especially critical for the 22 million working-age Americans with disabilities, of which only one-in-three has a job. Like Will and Grace and Modern Family helped to change perceptions of the LGBTQ community, an increase in diverse and authentic portrayals of people with disabilities on television can help to end stigmas and advance opportunities for people with disabilities. Actors, producers and directors can use their talents through inclusion riders and other means to fight stigmas and advance opportunities. They also have the power to change the fact that actors without disabilities play more than 95 percent of all characters with disabilities on television. Diversity and inclusion processes also are needed inside networks and studios so diversity and accurate portrayals become natural and consistent. Changing attitudes and behaviors takes great communicating, delivery systems and message repetition. Everyone who works on any aspect of diversity in Hollywood will be able to help ALL – as a rising tide lifts all ships. 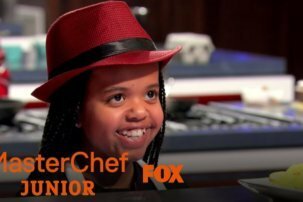 Television programming that represent the talents, innovation and inclusion of ALL of us simply are better.